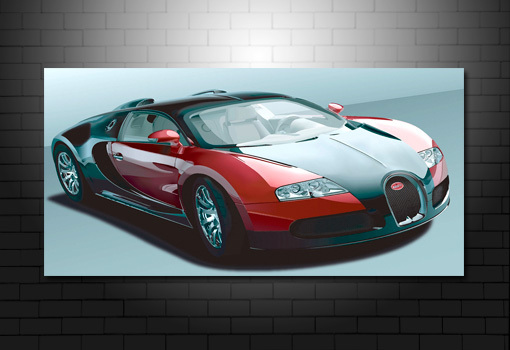 Want this Bugatti Veron canvas print in a different size? Check sizes + prices. All artwork is printed at high resolution onto 100% cotton matte canvas. Every Smartmodernart canvas is individually handmade to order. Note: colour may vary due to individual monitor settings.